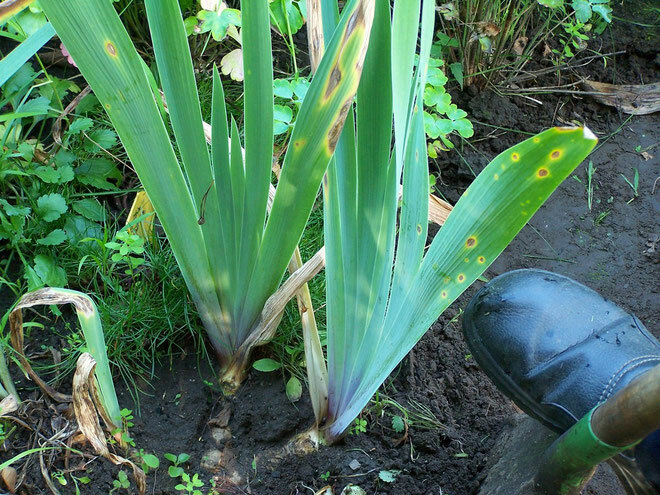 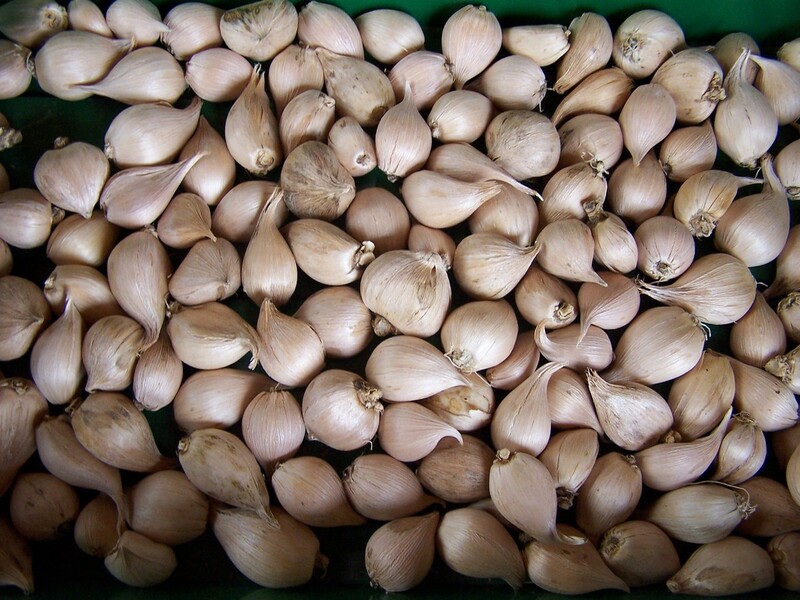 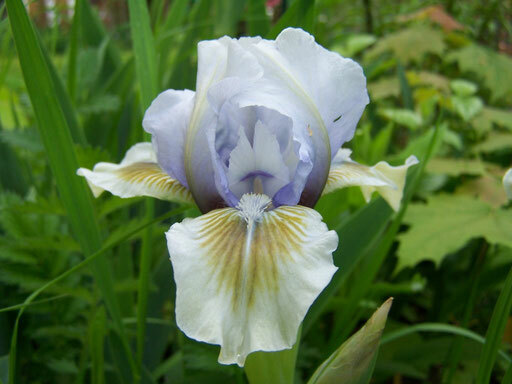 What has to be done for your irises in spring, summer, autumn and winter and what else can you do? 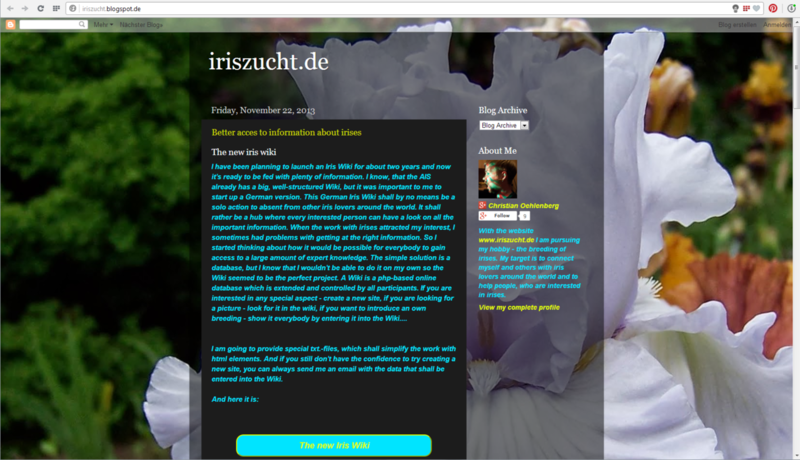 What is new on iriszucht.de? 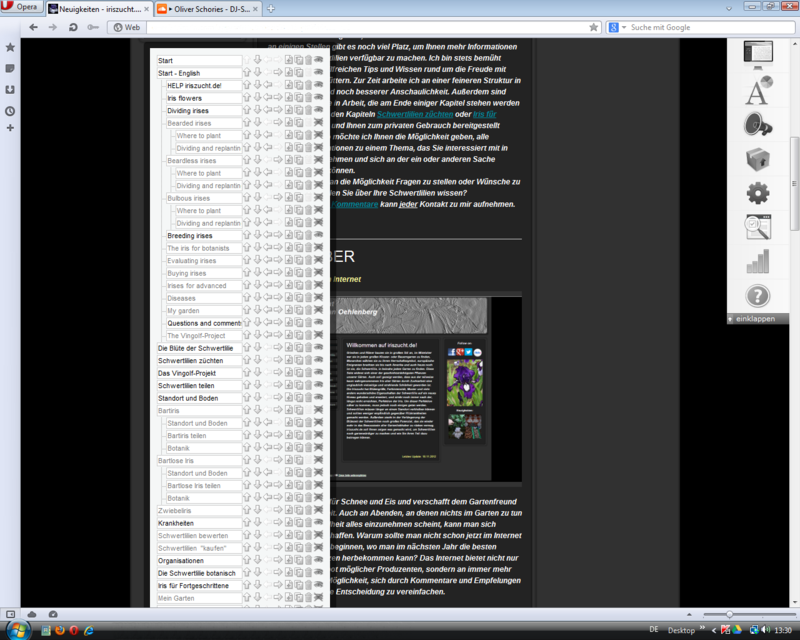 There are a lot of interesting things to tell you every month. 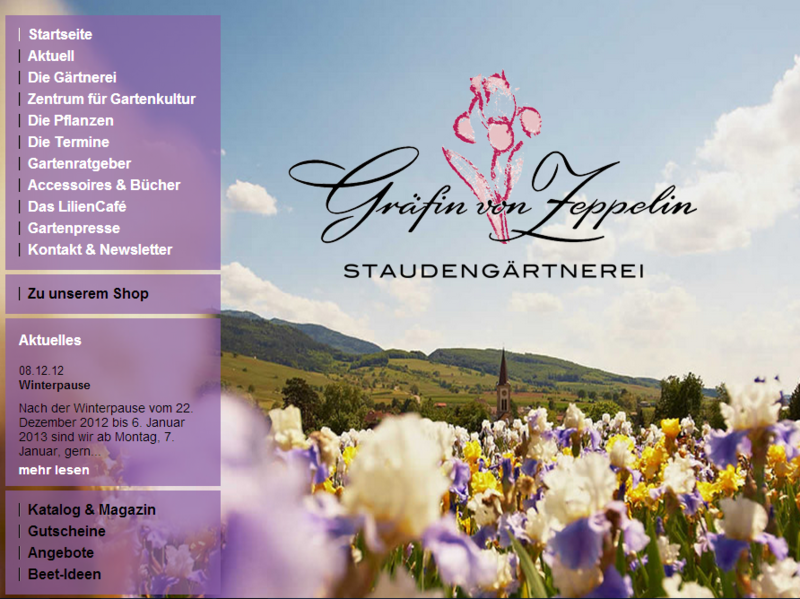 Simply drop by regularly! 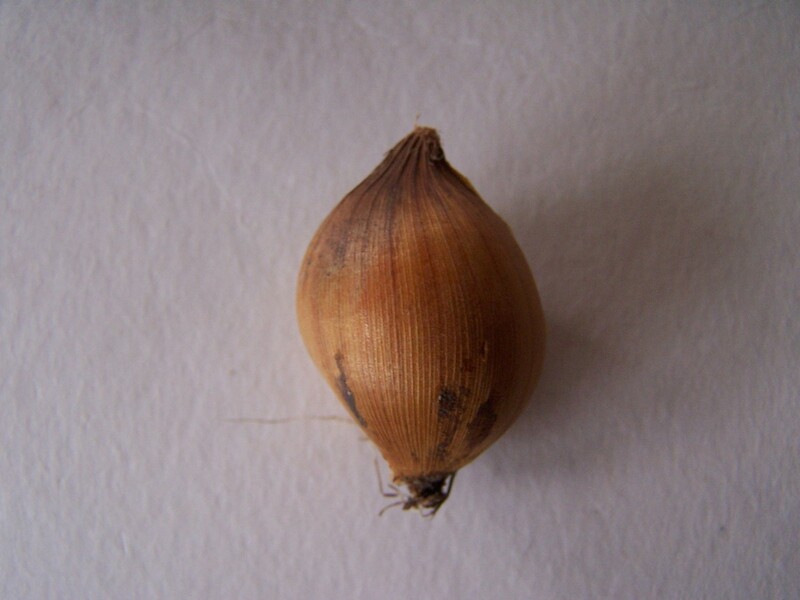 Wanna have an ear to the ground? 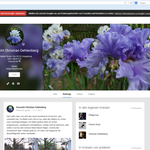 Keep up with the news by subscribing to my newsletter! 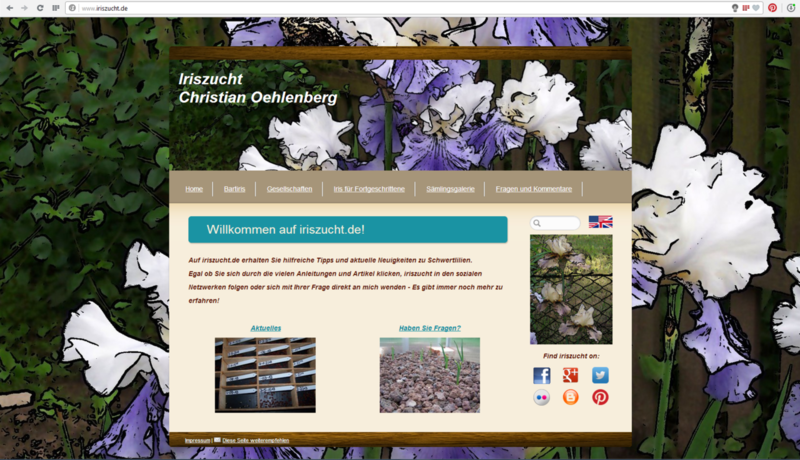 iriszucht.de shall become even better! 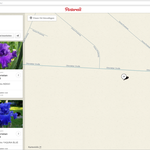 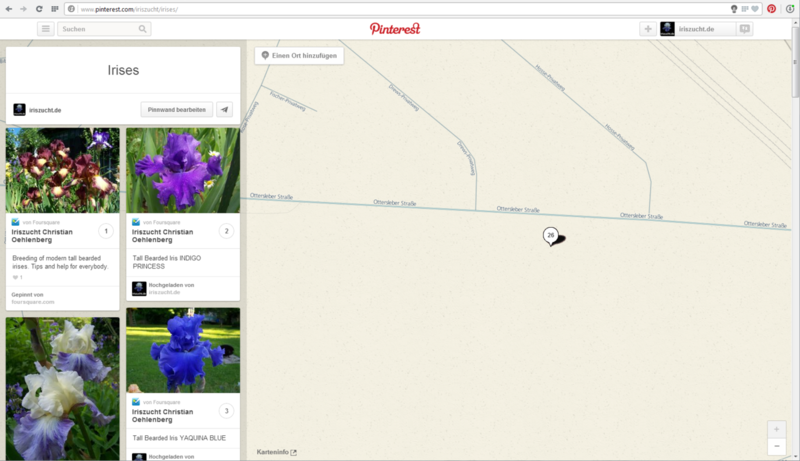 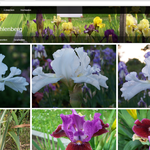 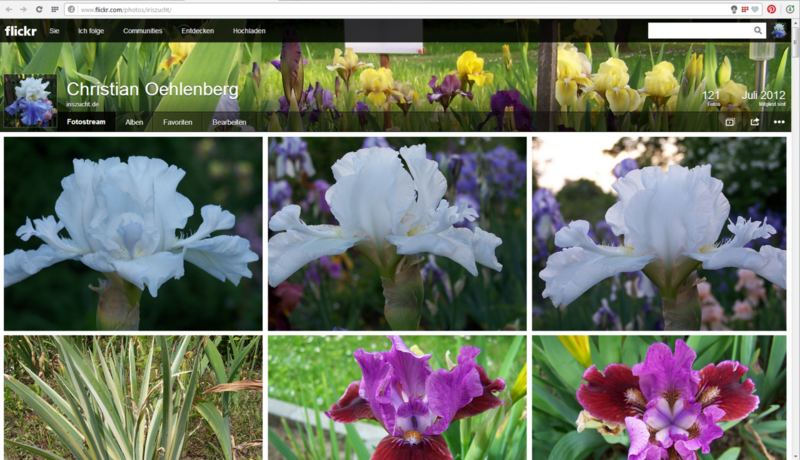 It hasn't been a long time since iriszucht.de has been published and in some places there is still much space to make more information about irises available to you. 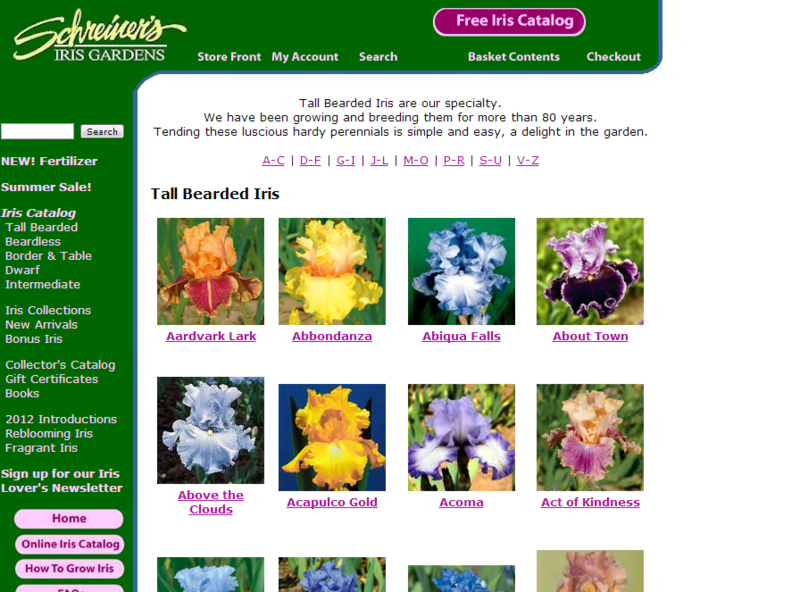 I'm always trying to feed iriszucht.de with helpful tips and knowledge about the delighting in irises. 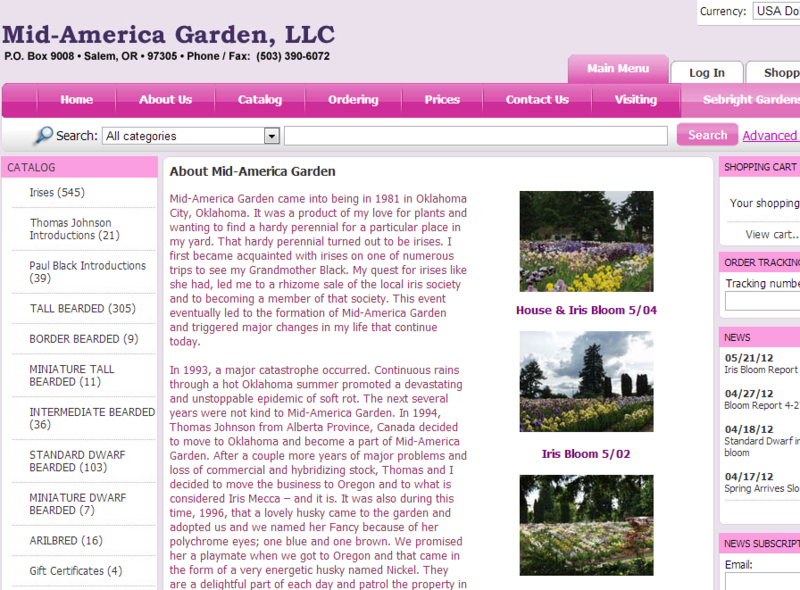 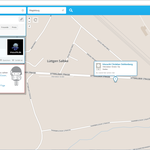 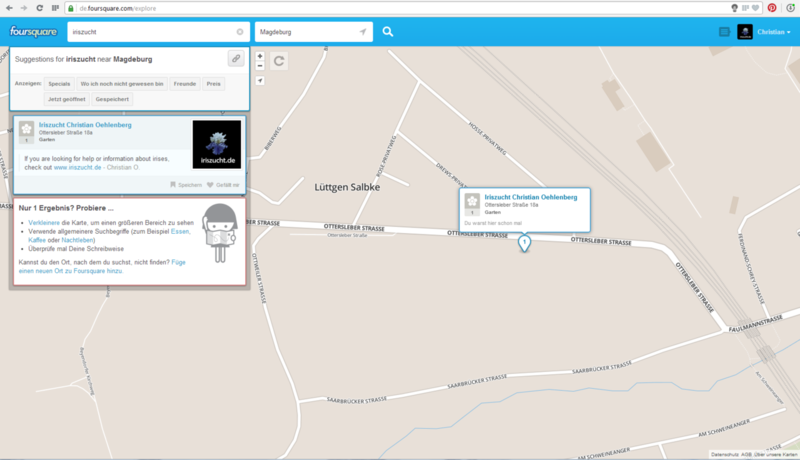 I am currently working on a finer structure in the navigation and even better clarity. 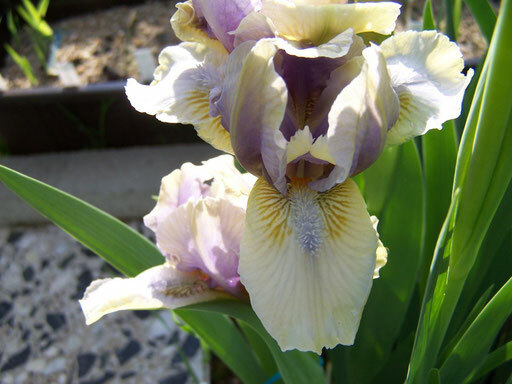 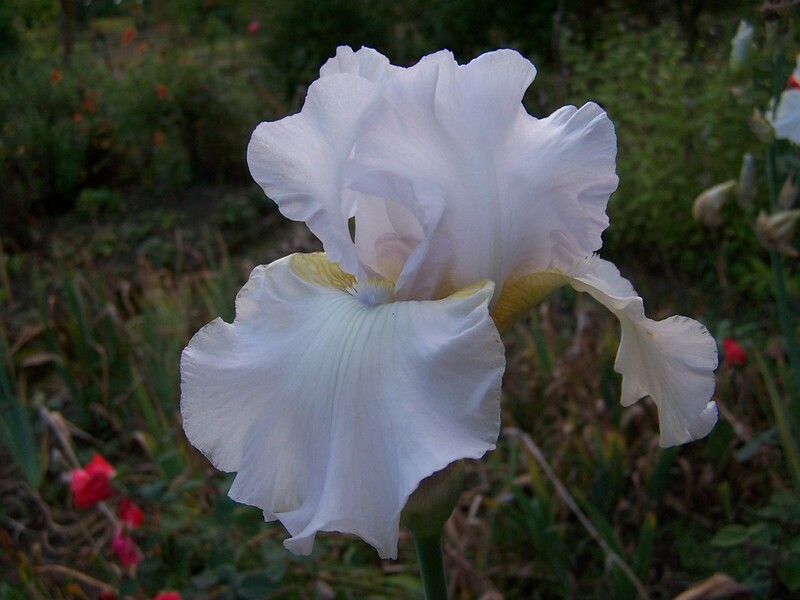 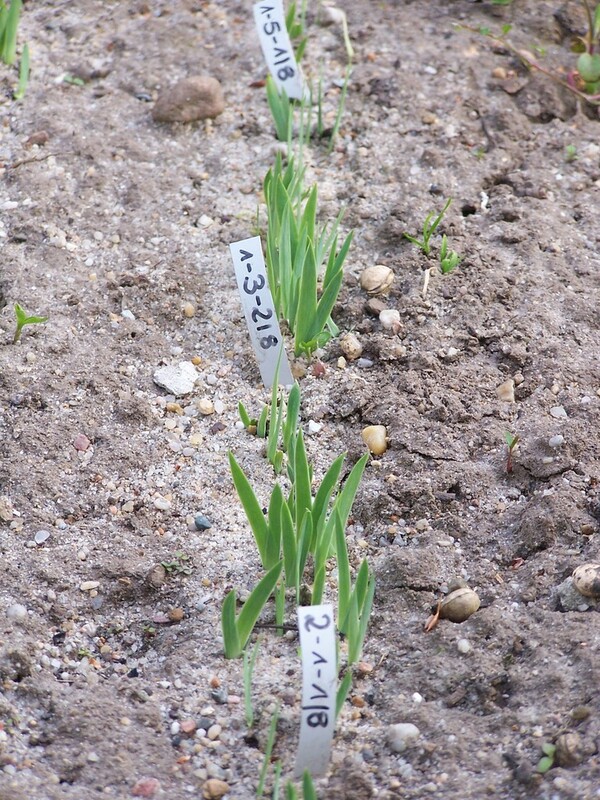 In addition, several documents, that will stand at the end of some chapters (such as already in the chapters Breeding Bearded Irises or The iris for advanced) have been in work. 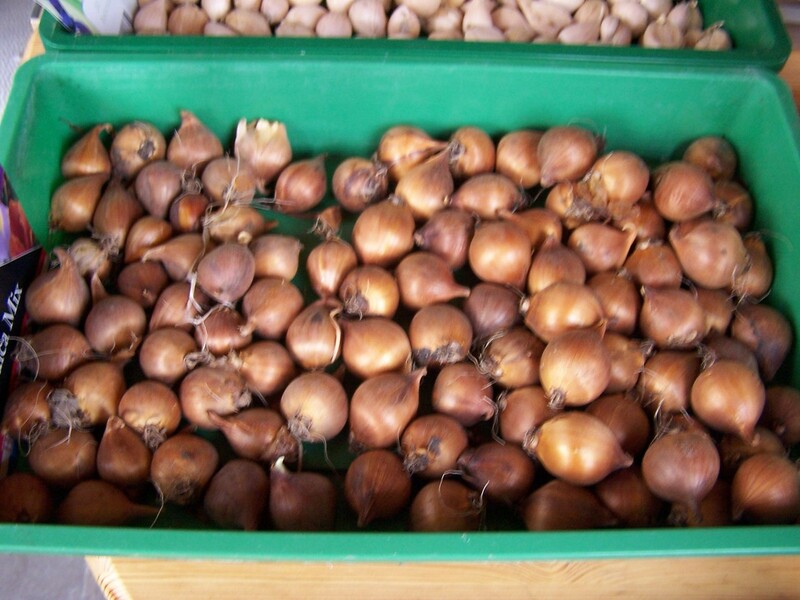 These are provided for personal use. 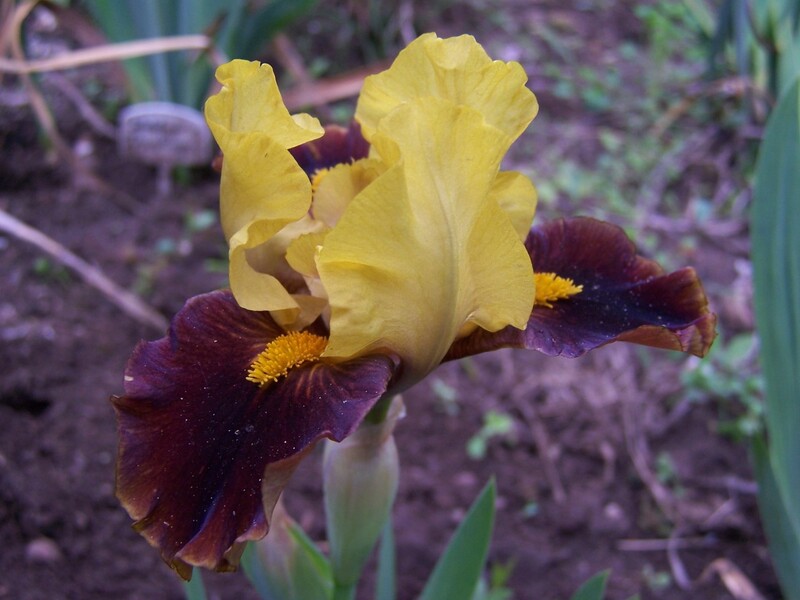 So I would like to give you the opportunity of taking all the important information about a topic you are interested into your garden and trying the one or other. 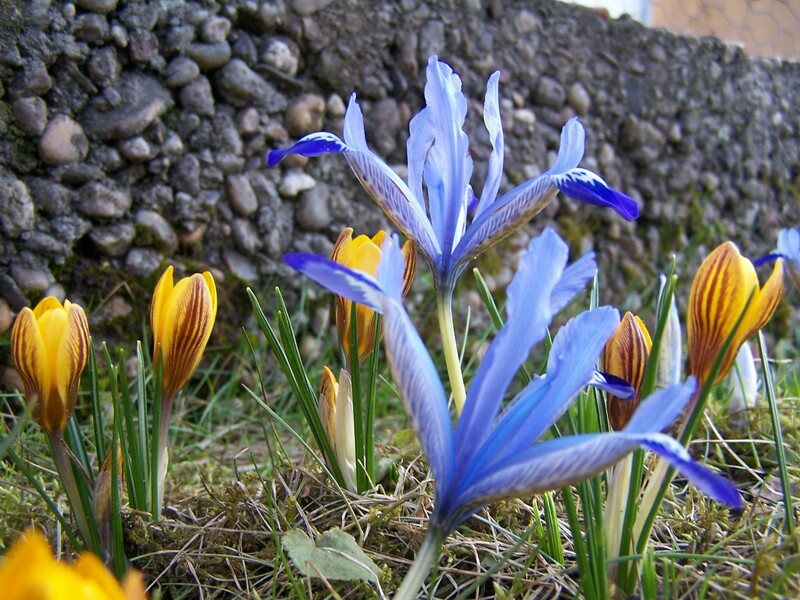 Besides you should keep in mind, that it's always possible to ask questions or voice wishes. 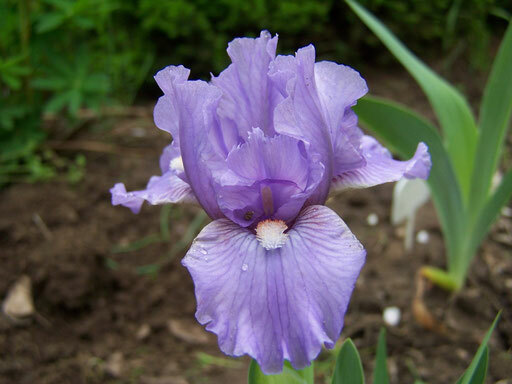 What do you want to know about your irises? 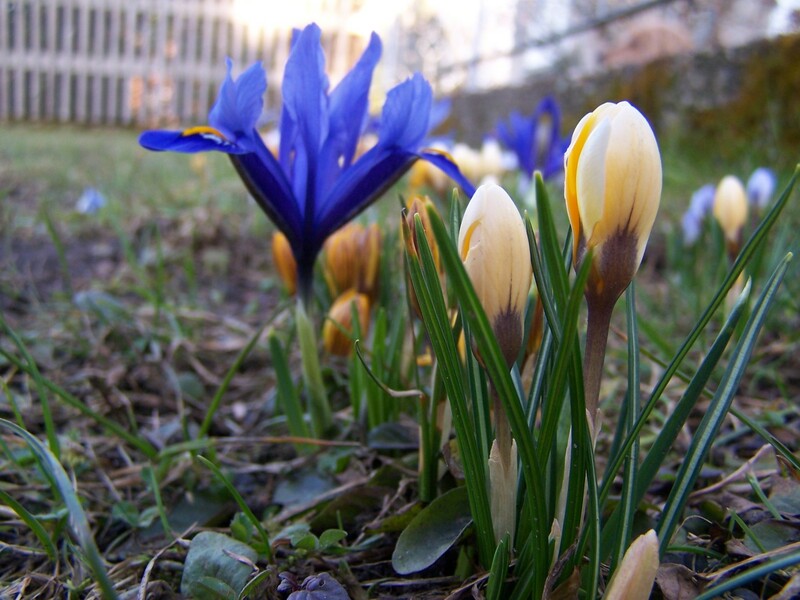 The winter brings snow and ice and a lot of free time to the gardener. 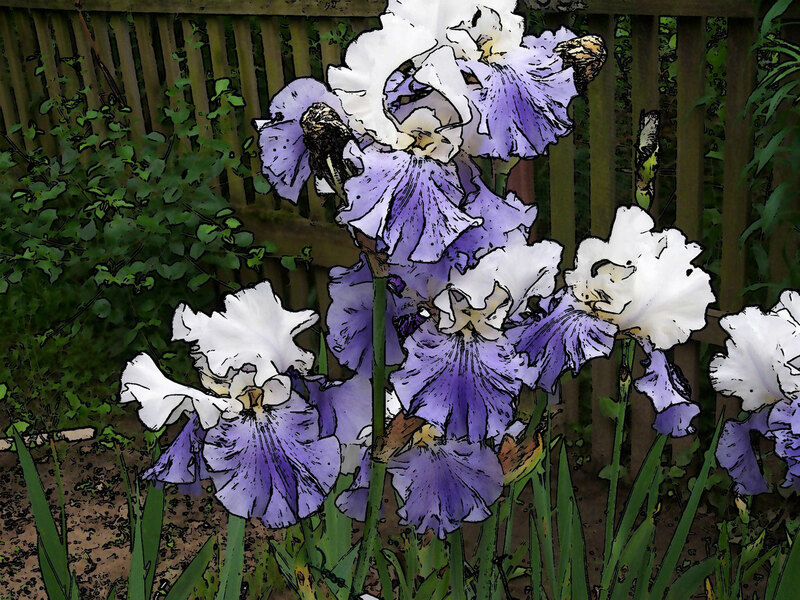 On nights when there is nothing to do in the garden and the darkness seems to be everywhere you can nethertheless create garden delights. 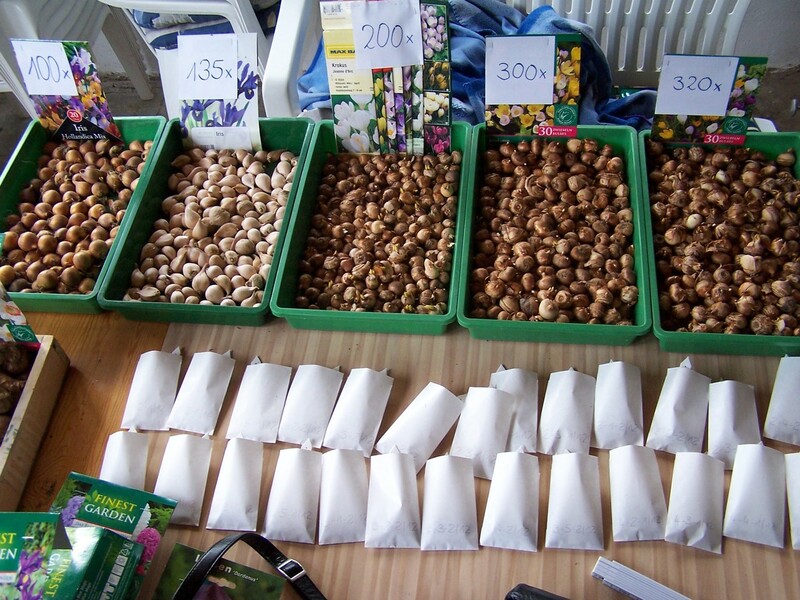 Why shouldn't we begin to research on the Internet, where to get the best seeds and plants for the next year? The internet doesn't only offer the widest range of potential producers, but more and more the opportunity to ease your decisions with the help of comments and recommandations by other users. 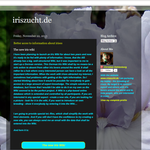 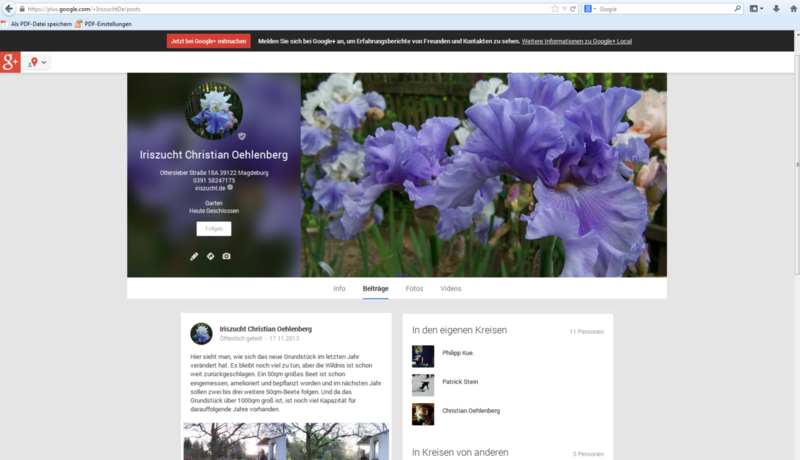 If you already are a member of a social network, or you are planning it in the near future, why don't you visit iriszucht.de on the corresponding sub-pages or click yourself through the Internet!? 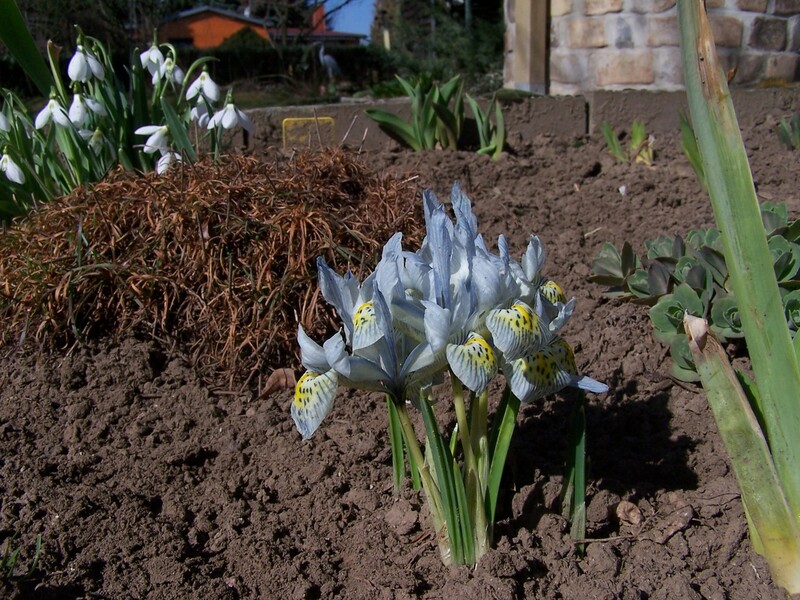 Now that there are already the first frosts, you should once again look over the beds and make one last time sure that the plants aren't covered by weeds or leaves. 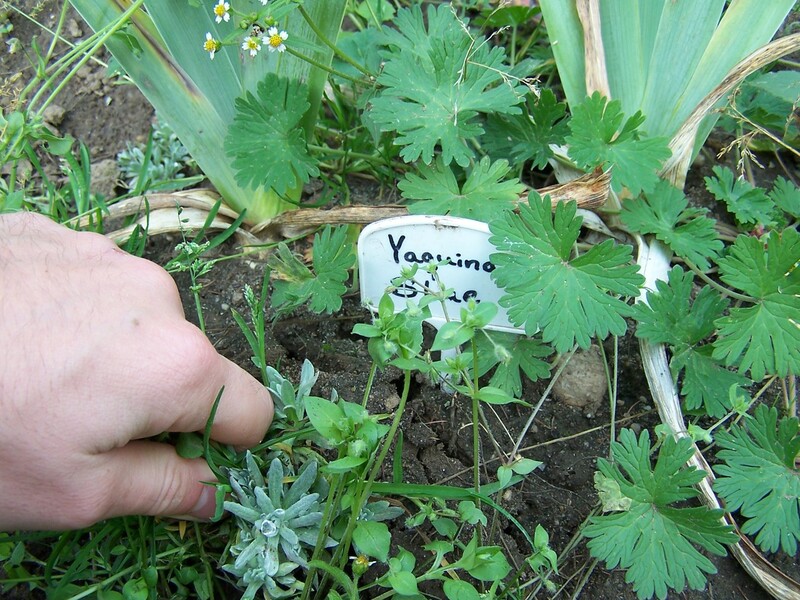 The rhizomes should always be able to "breathe", in order to avoid being exposed to too much winter moisture. 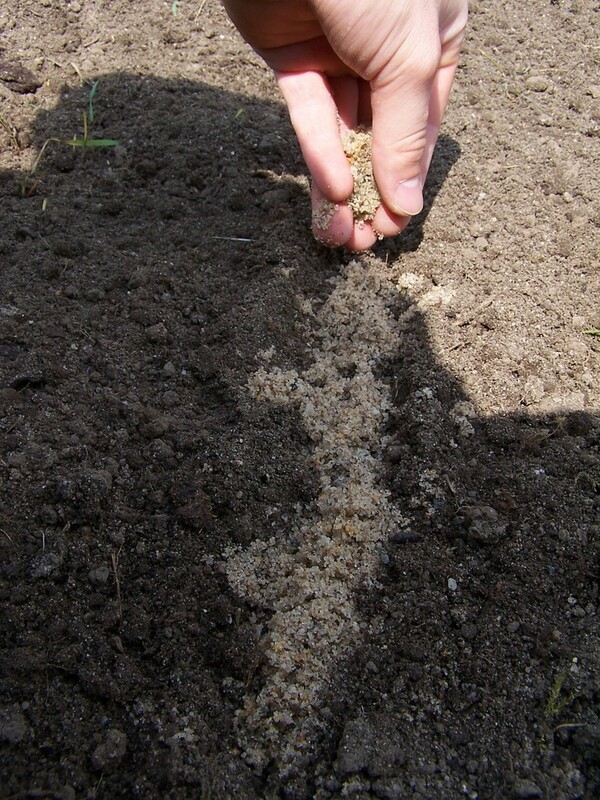 As long as the ground isn't frozen, you can still sow your seeds. 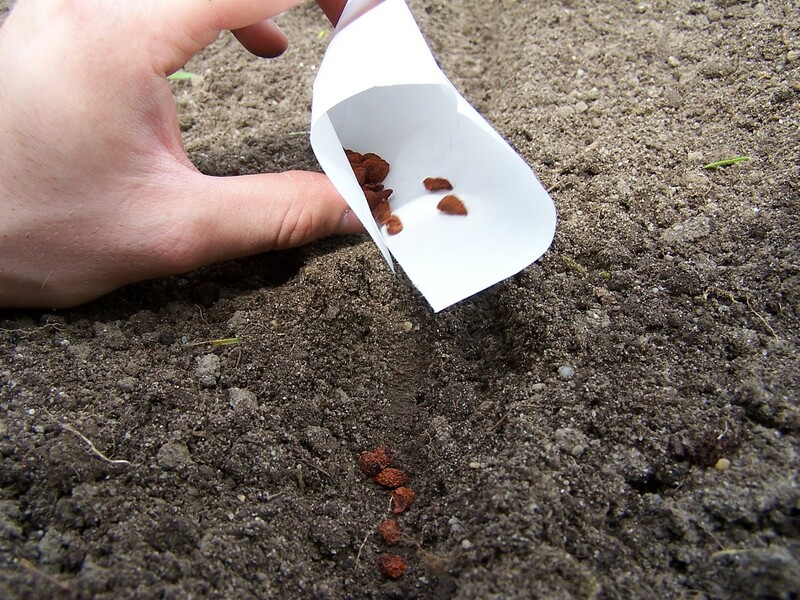 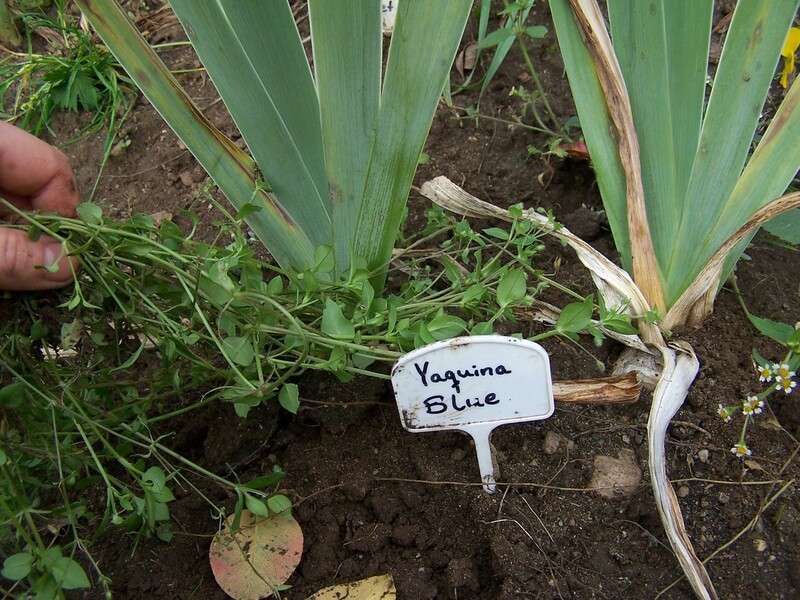 If you obtained seeds from a seed catalog or exchange, you should immediatly bring it into the beds. 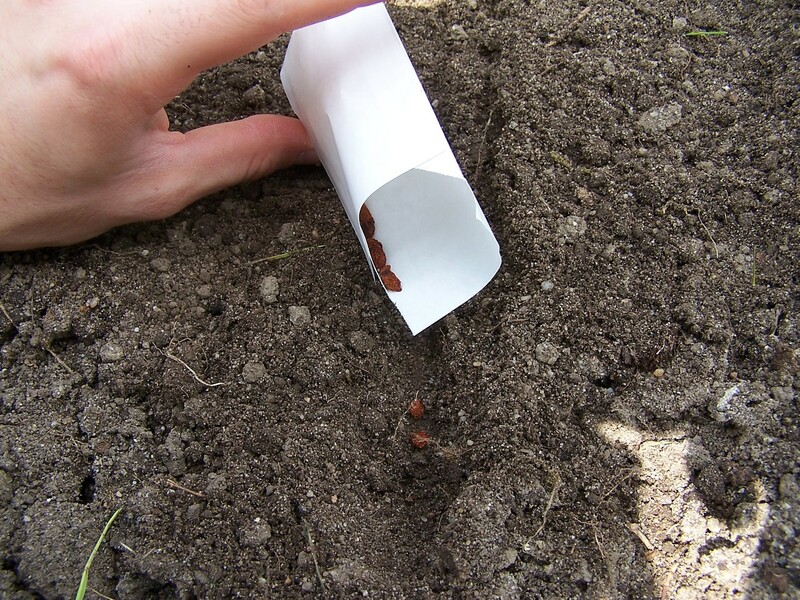 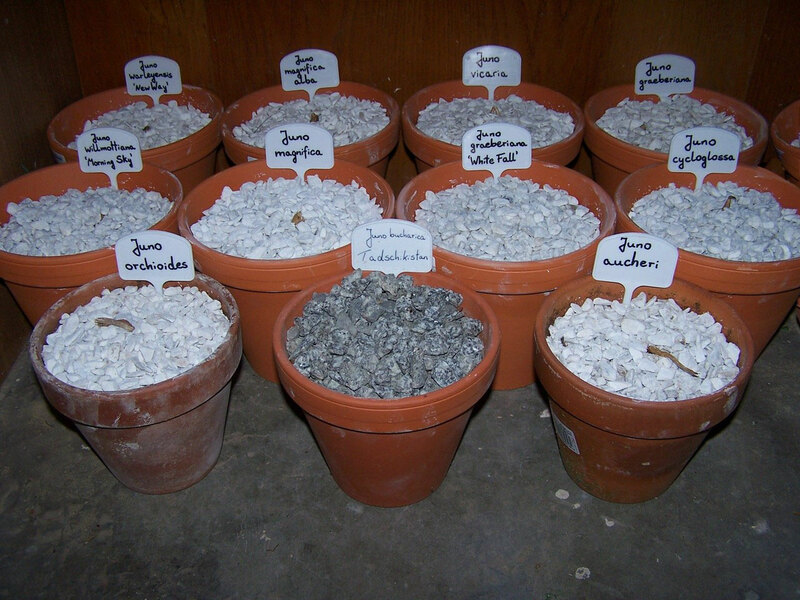 If the ground is already frozen, sow the seed into containers and set out. 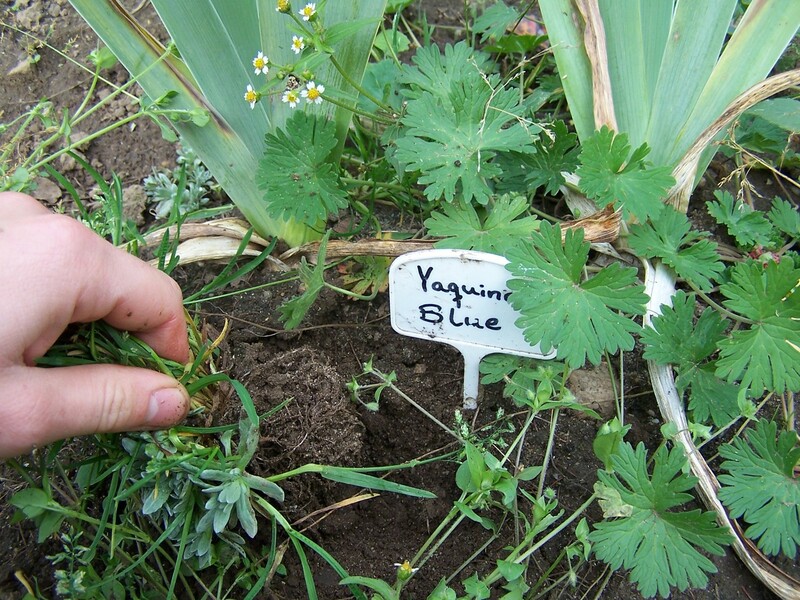 In window boxes, for example, a large amount of seedlings can be grown and pricked out onto beds in the following year. 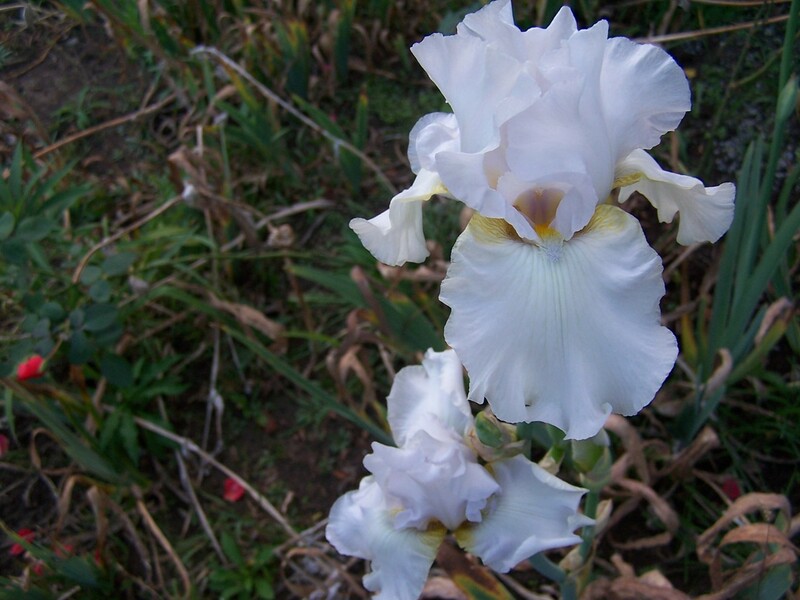 Since not all Irises bear heavy frosts and winter moisture, beds have to be covered and pots have to be cellared, now. 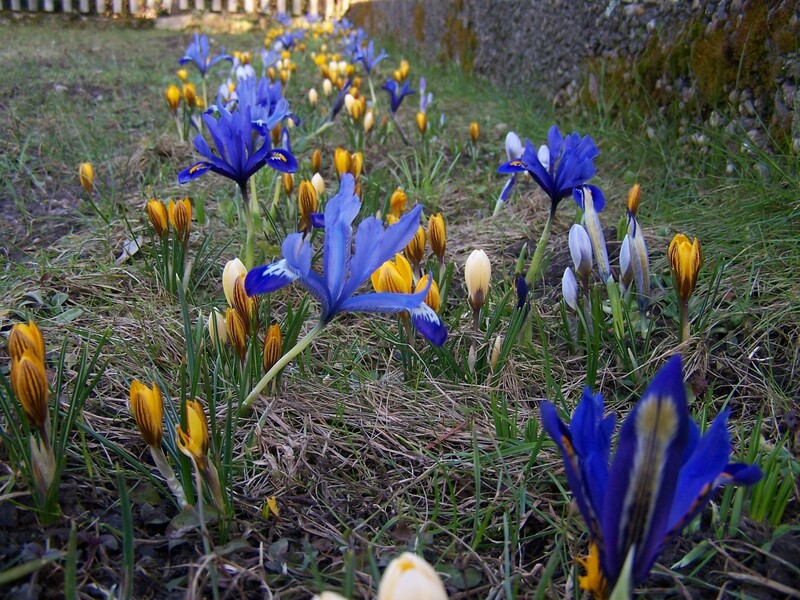 The relatively brief blossom of irises is oftenly regretted by garden lovers. 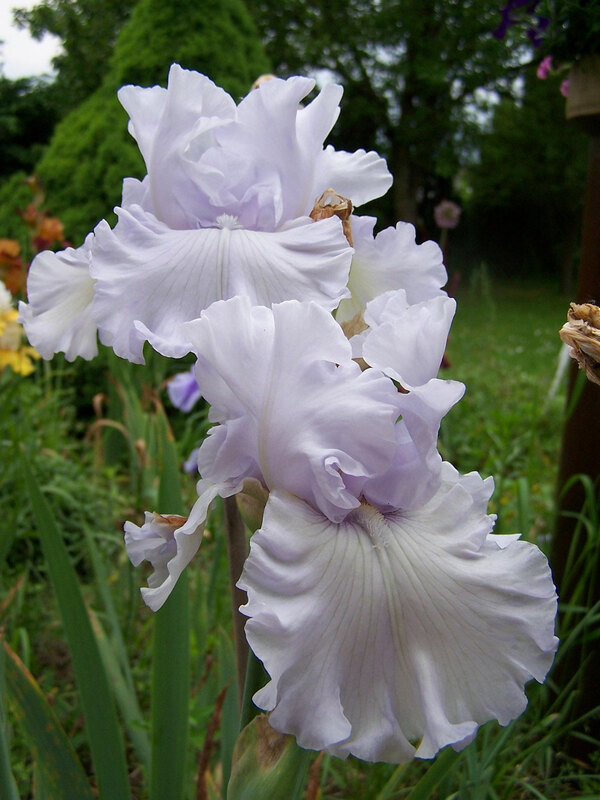 However, there are varieties that do it every year again to bloom twice. St. Petersburg (see picture) is probably one of the most reliable and best reblooming irises. 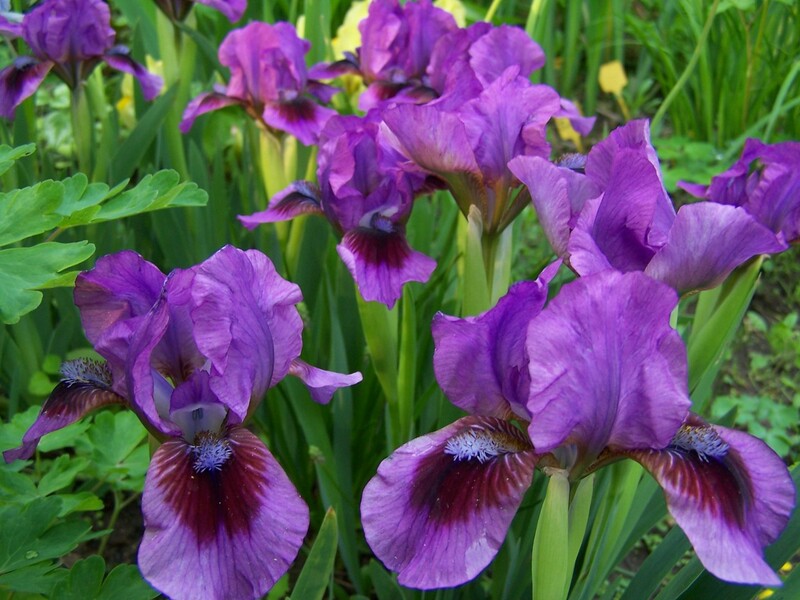 Reblooming irises are offered in large iris nurseries and have even managed to move some enthusiasts to devote them a separate society. 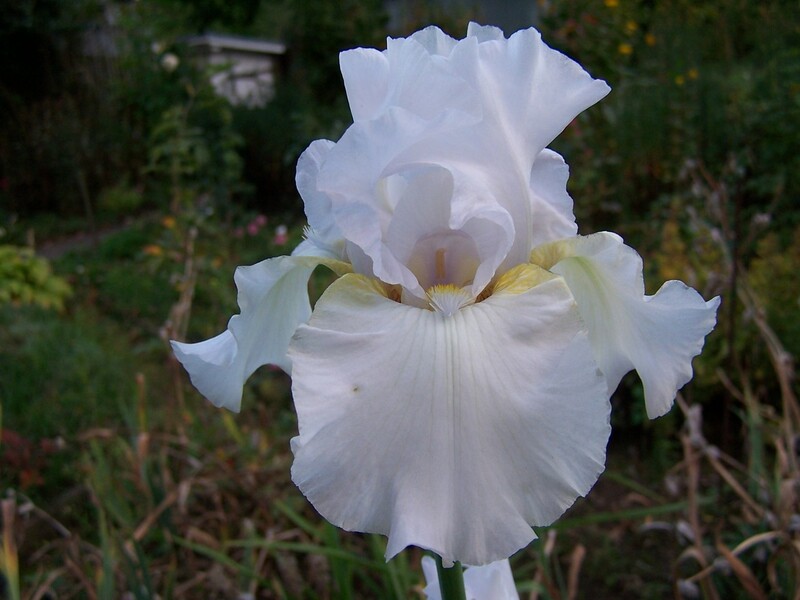 Link to the Reblooming Iris Society! 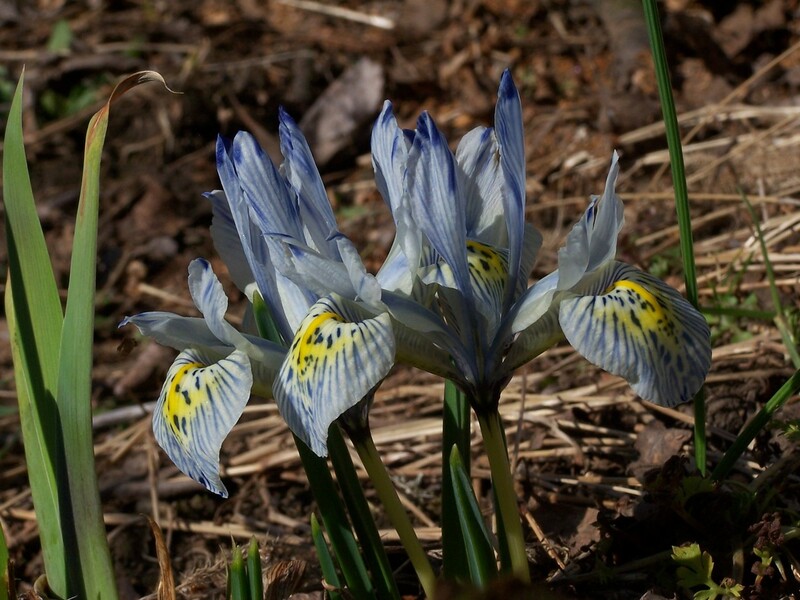 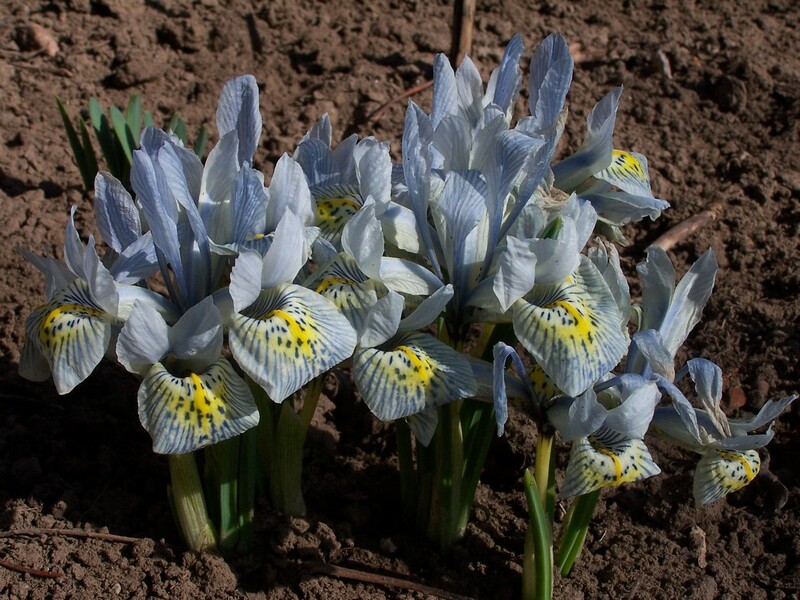 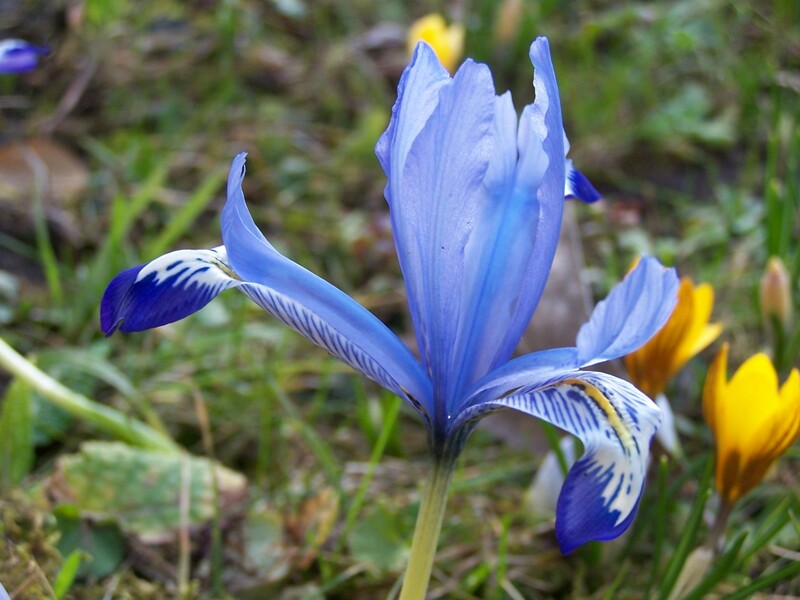 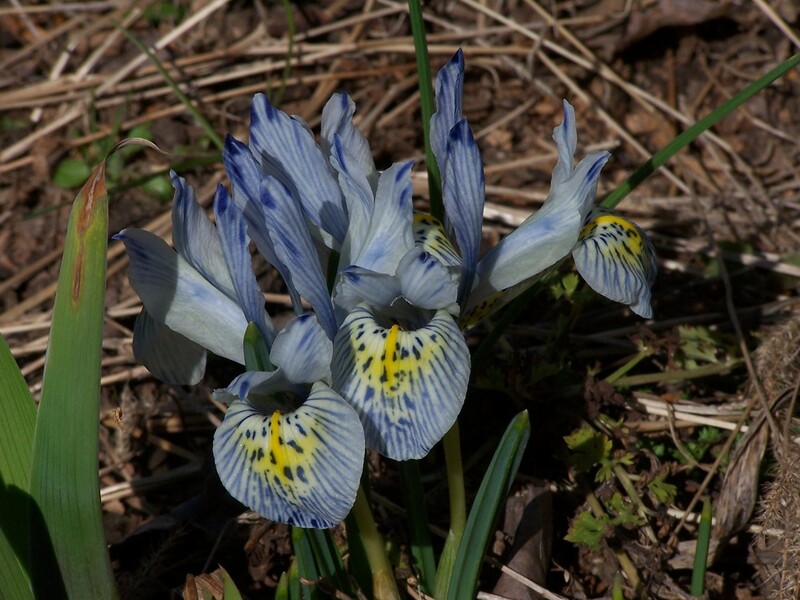 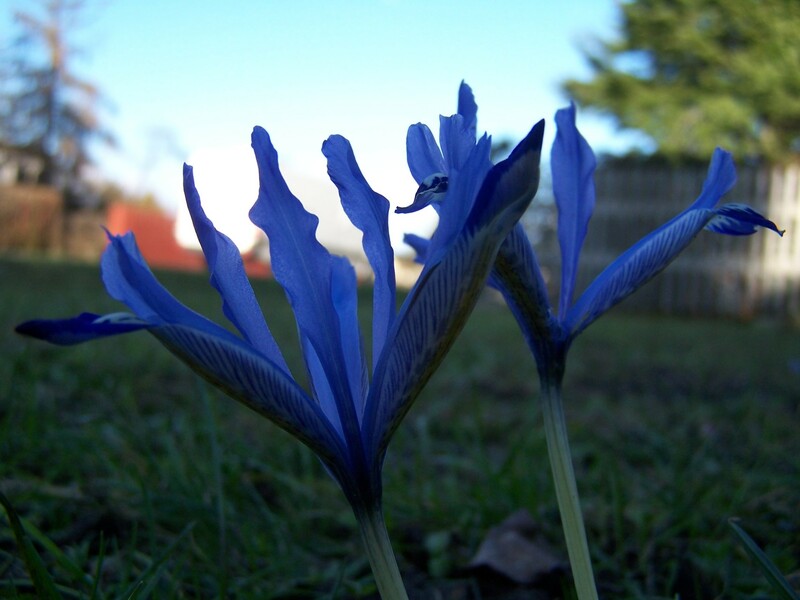 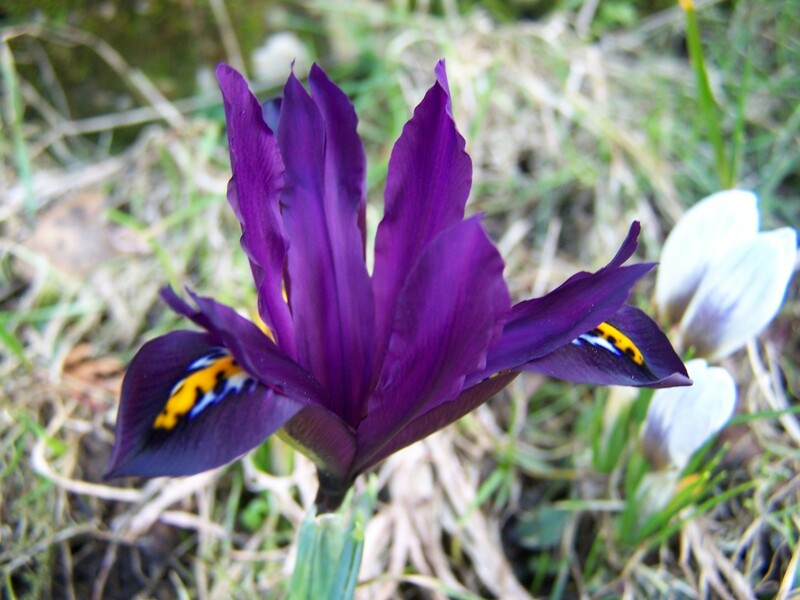 In order to be able to enjoy an intense iris blossom in the next year you should now do autumnal cultivation work and planting of spring flowering bulbous irises, for example Iridodictyum reticulata, Iridodictyum danfordiae, Iridodictyum histrioides or Xiphium hybrids. 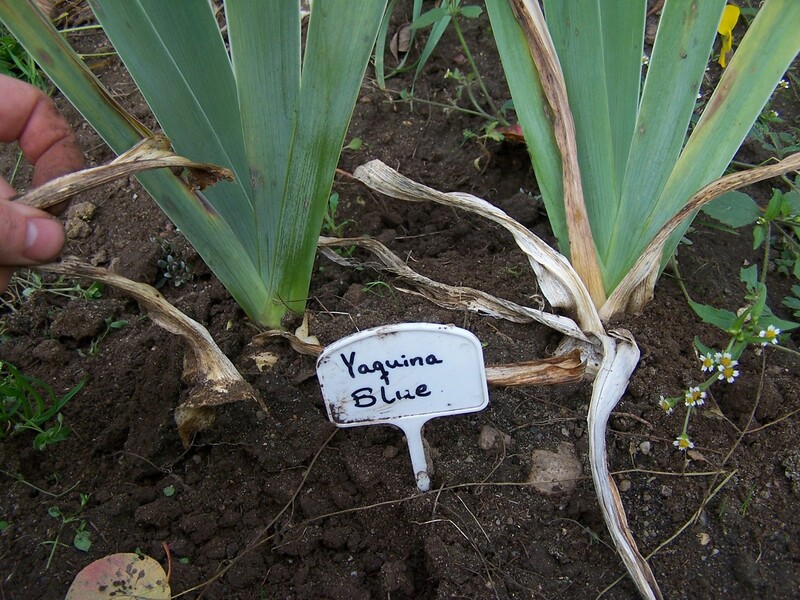 Now that all irises are withered and they concentrade on vegetative reproduction, it is time to care for them. 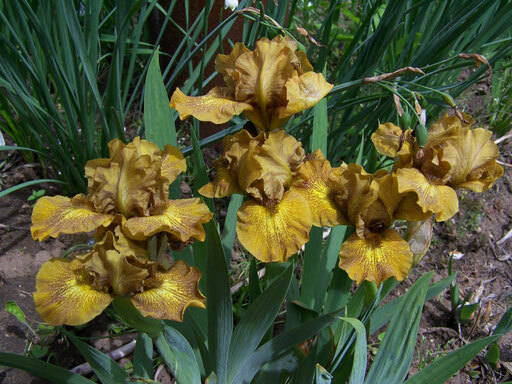 You should cut off dried stalks and leaves and divide and replant irises, that are grown together. 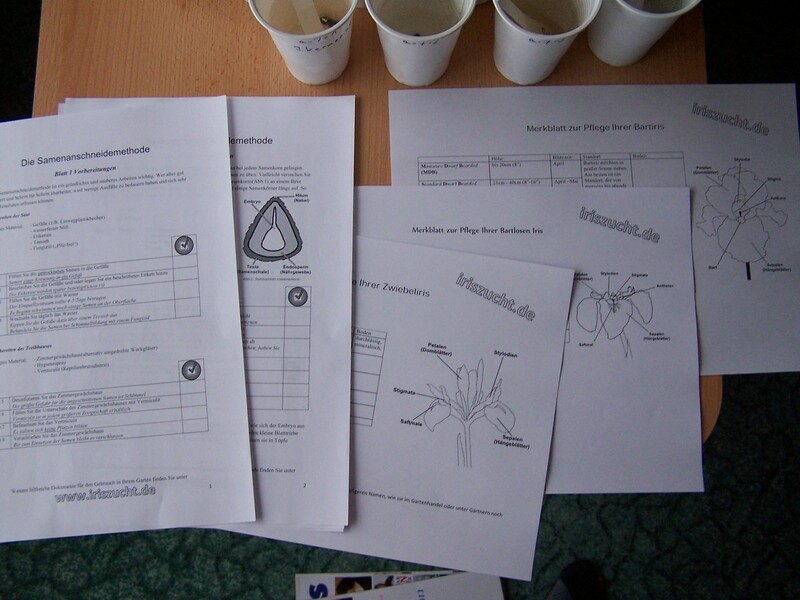 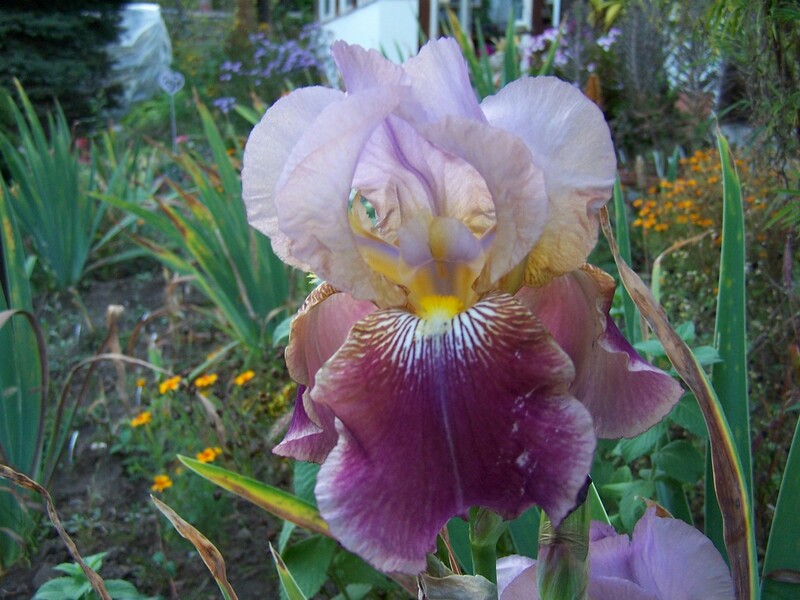 See here how to divide and transplant your irises. 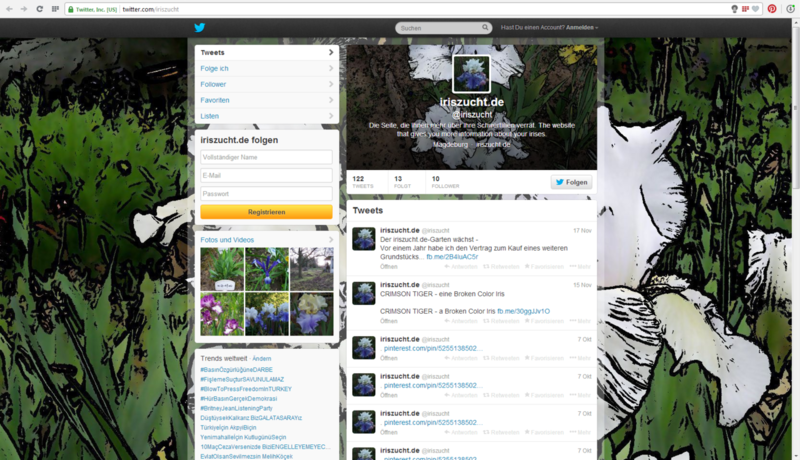 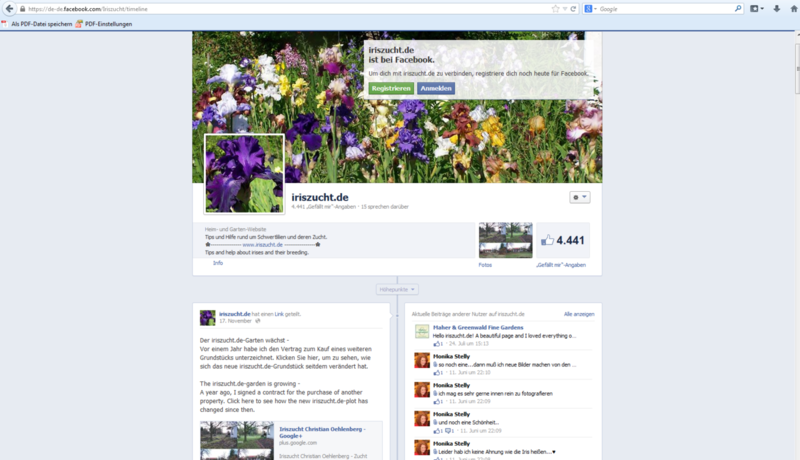 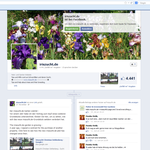 For three years now there is my page iriszucht.de. 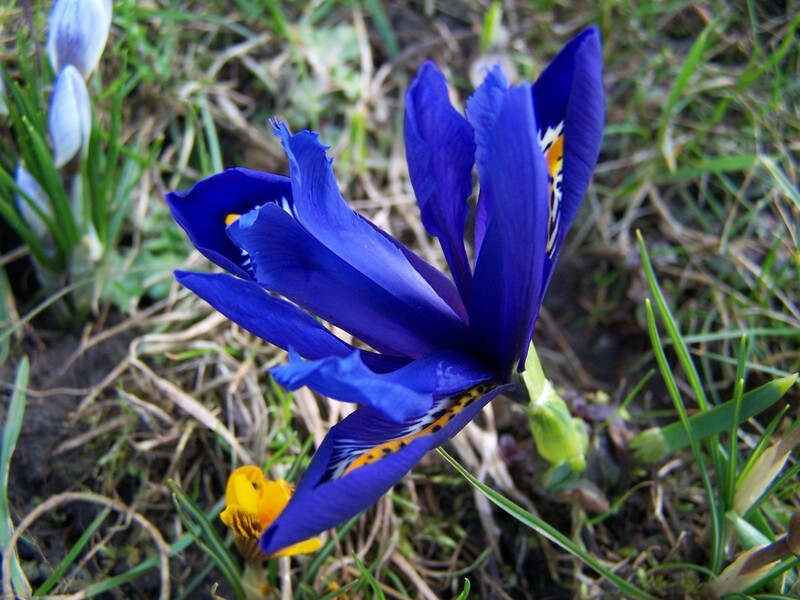 A lot has happened since then and much more is going to happen in the the future. 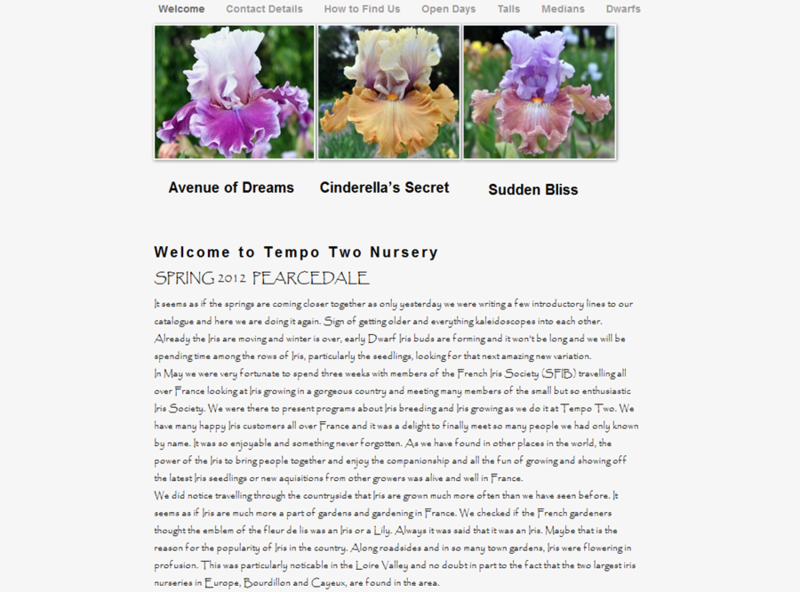 Sometimes it is exhausting, but nevertheless I am looking forward to the coming themes. 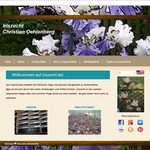 New chapters, new own iris varieties and hopefully still more interested iris enthusiasts, who inform theirselves on iriszucht.de and join in the discussions on the social networks. 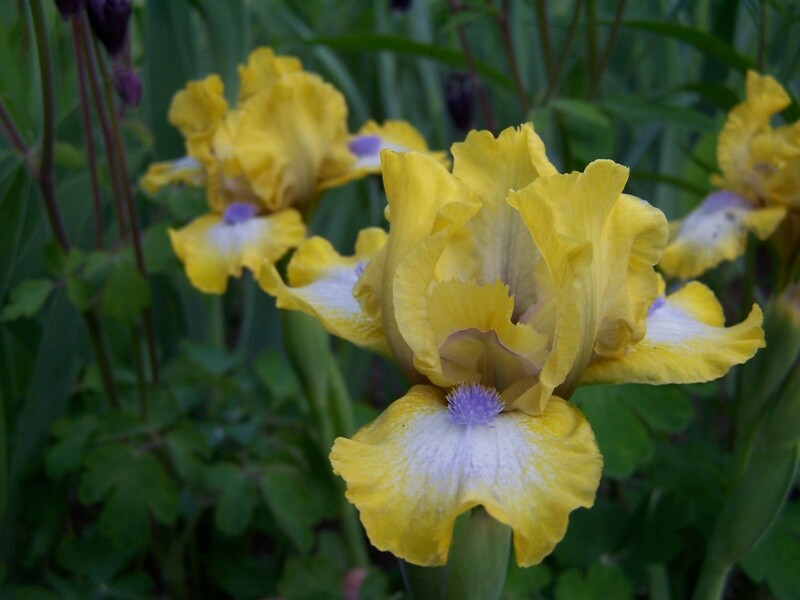 They arouse the desire of many garden friends - the tall bearded irises. 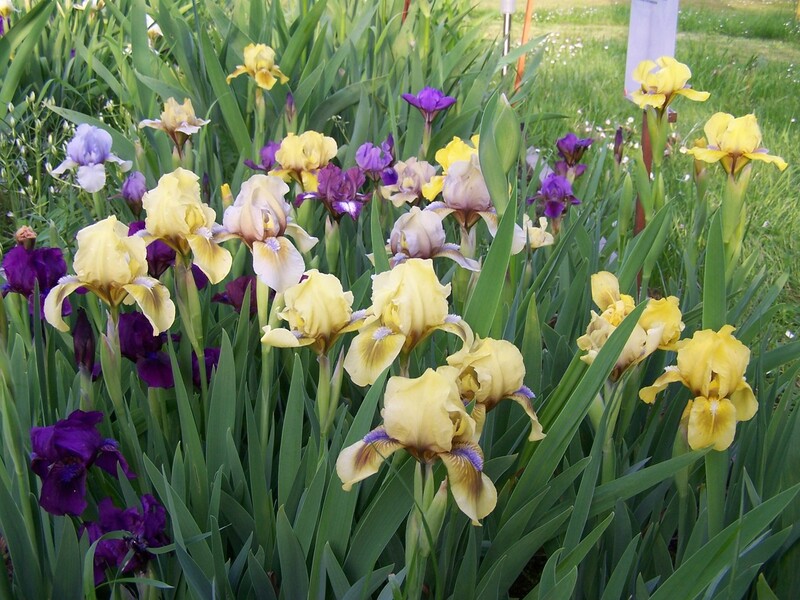 If one wants to get different varieties, one is faced with an incredible diversity of old and new hybrids. 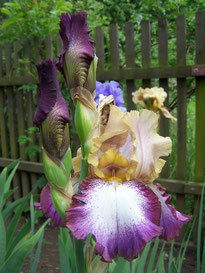 But the newest varieties are not always the best. Some historical varieties will probably always remain classics and enrich the collections of many iris lovers. 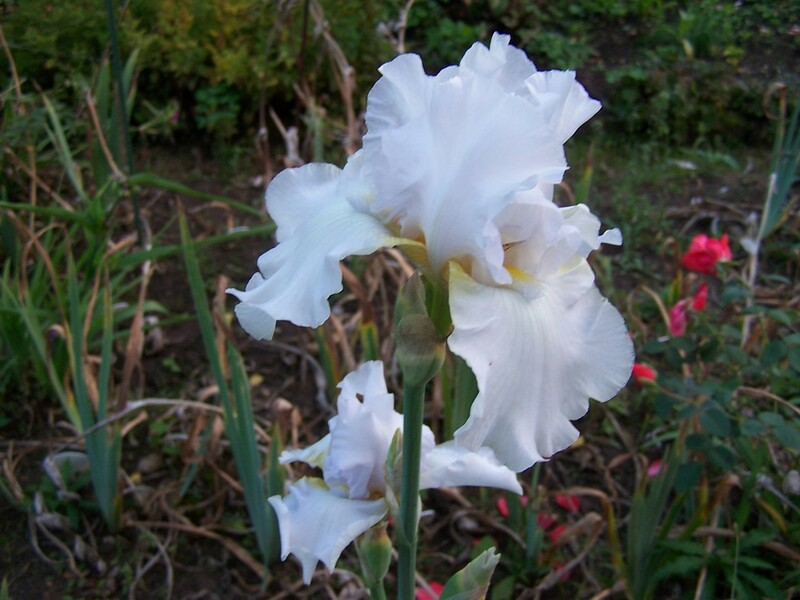 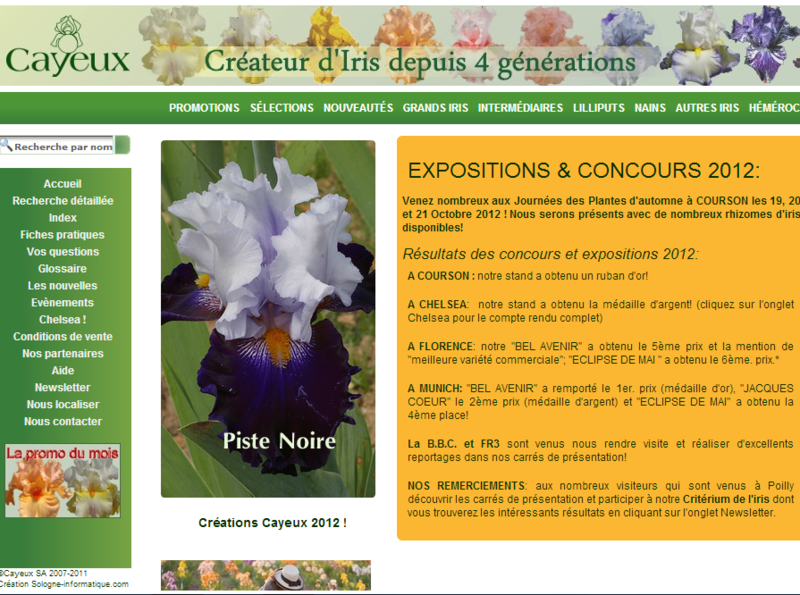 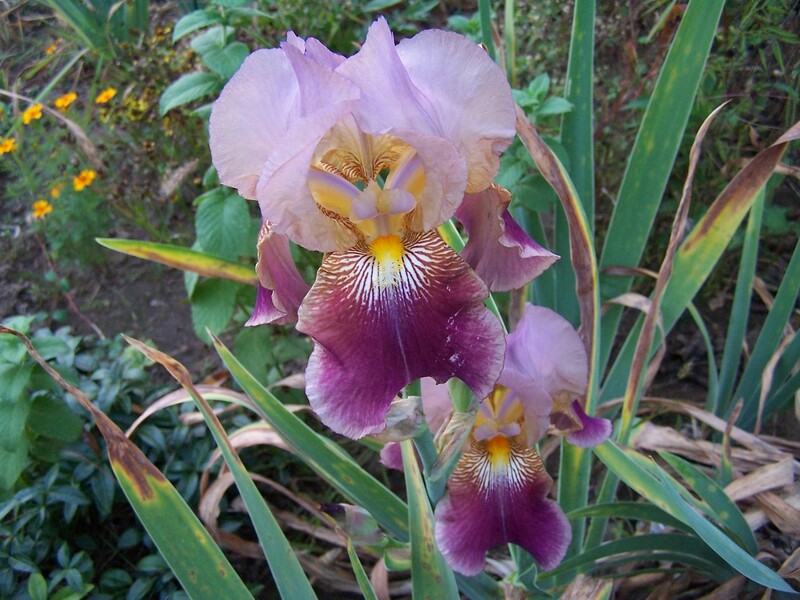 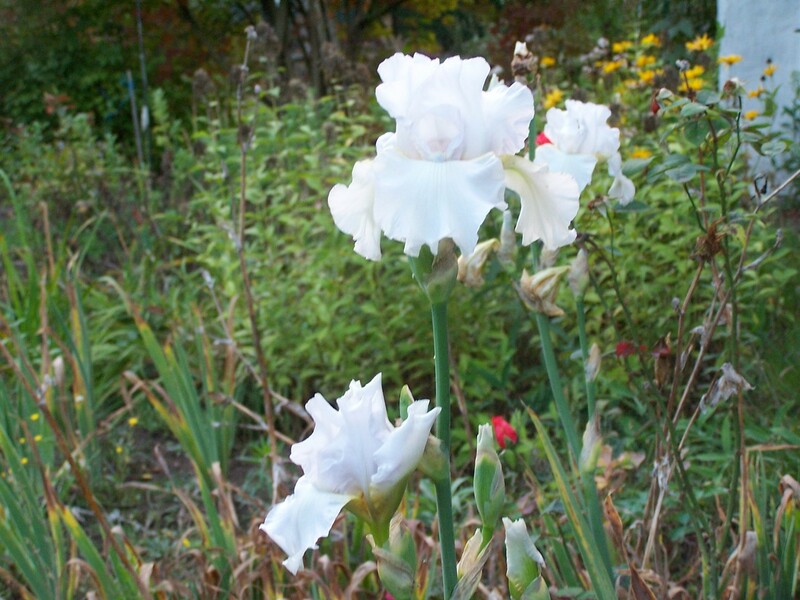 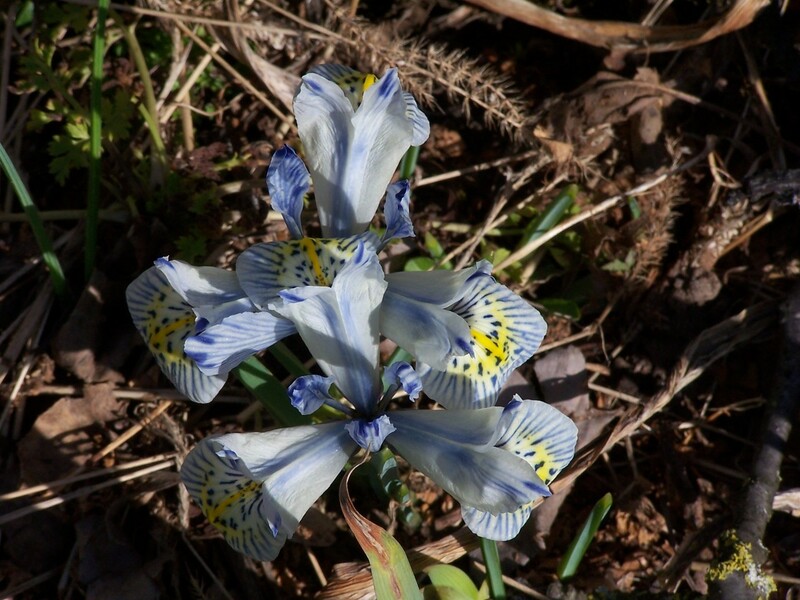 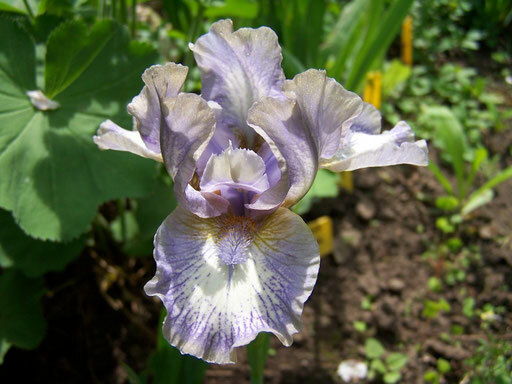 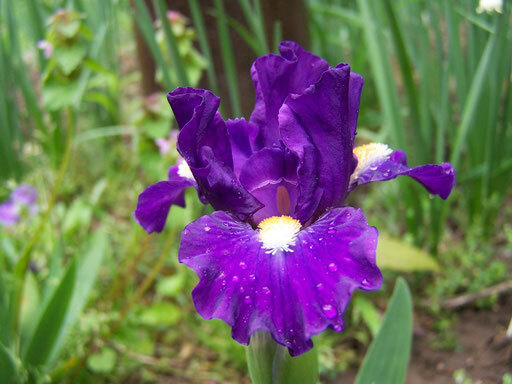 Since 1988 there has been the Historic Iris Preservation Society, which is an affiliate of the American Iris Society. 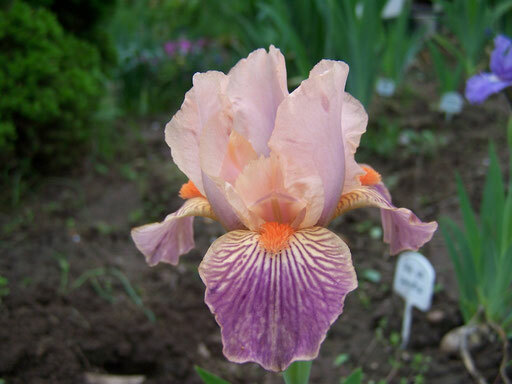 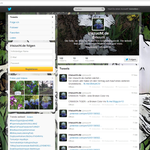 Members of the HIPS dedicate themselves to the preservation and dissemination of historical irises. 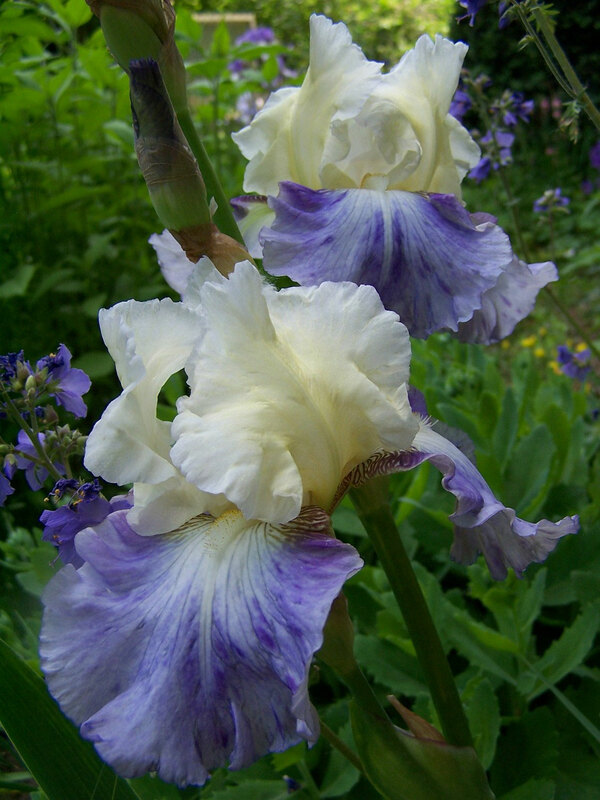 Blooming after the early flowering bulbous iris (Iridodictyum) the SDBs are the first rhizomes having irises that bloom. With a height of 21-40cm they are particularly good for border plantings or slightly larger rock gardens. In breeding there is currently a fresh impetus given to the standard dwarf bearded irises that is making them more faceted. Now there are ruffled, sometimes even horns and spoons wearing flowers. 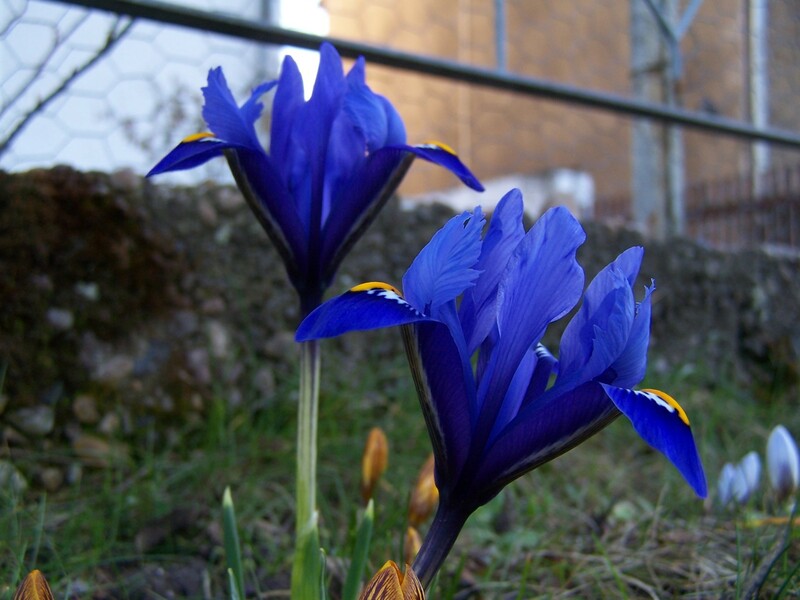 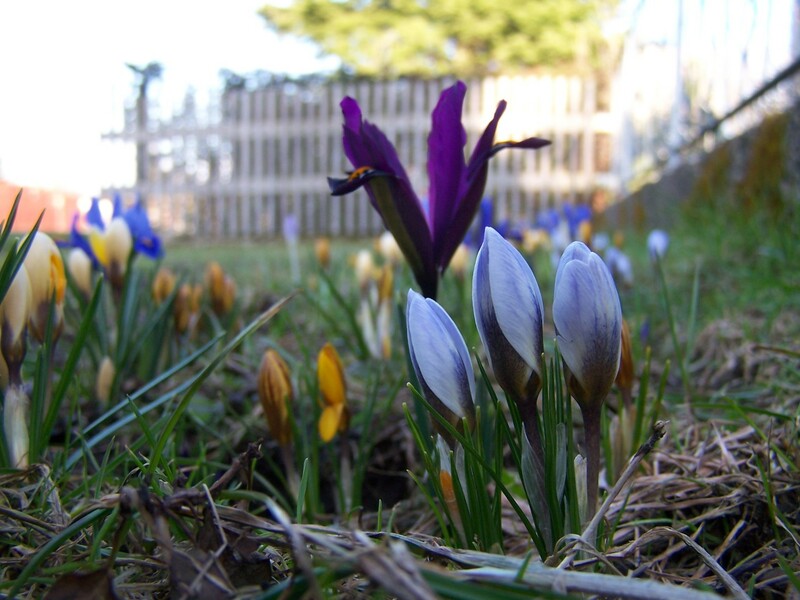 Planted in autumn, the time for the first early-blooming irises has come. 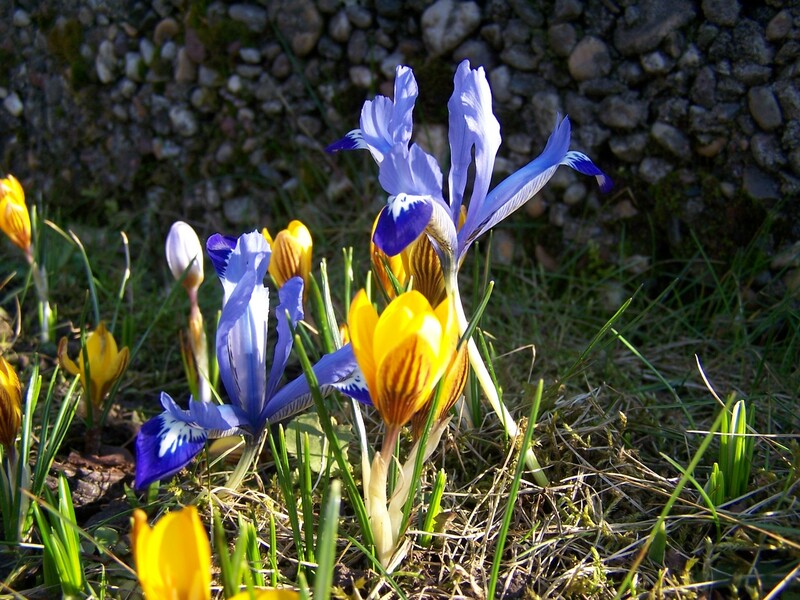 Small explosions of color, which in some places in the garden seem to blast away the snow. 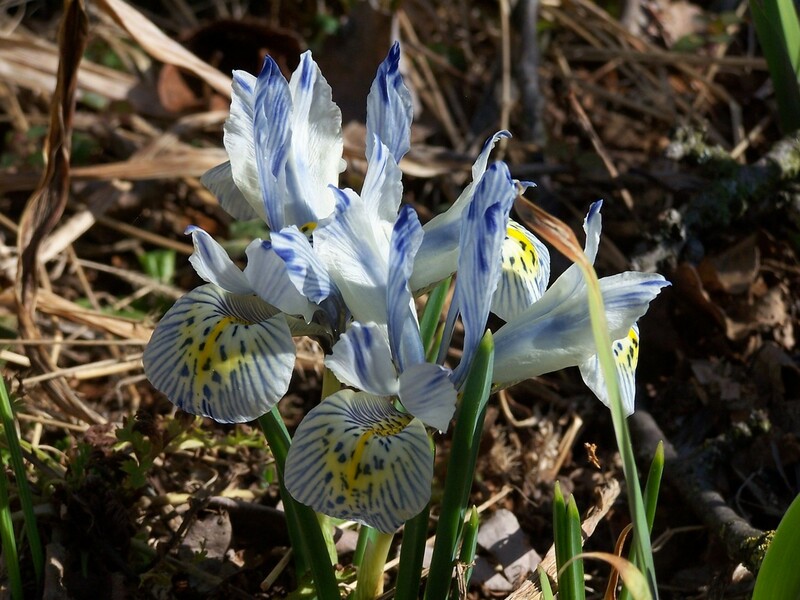 Have you ever wondered why these early blooming irises look so different from their starting in april flowering bigger siblings? 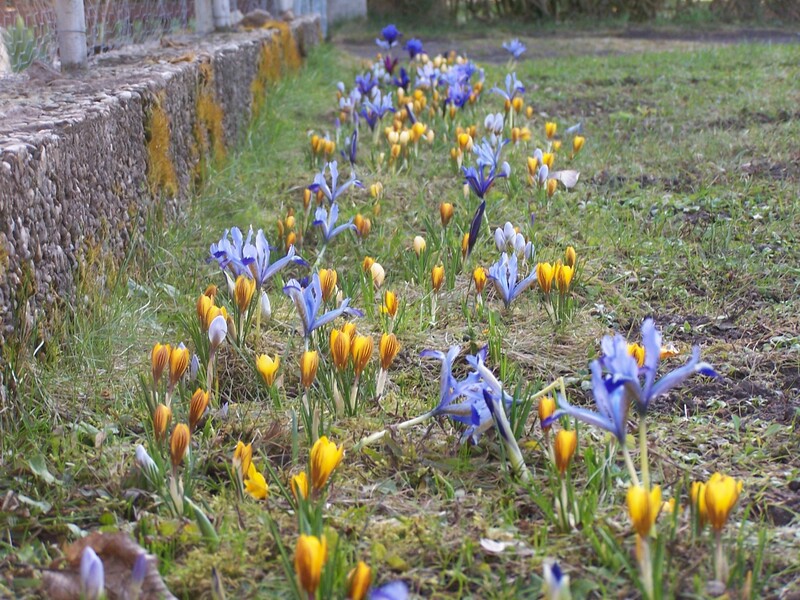 This is simply because they have become ideally adapted to their natural habitat over time. 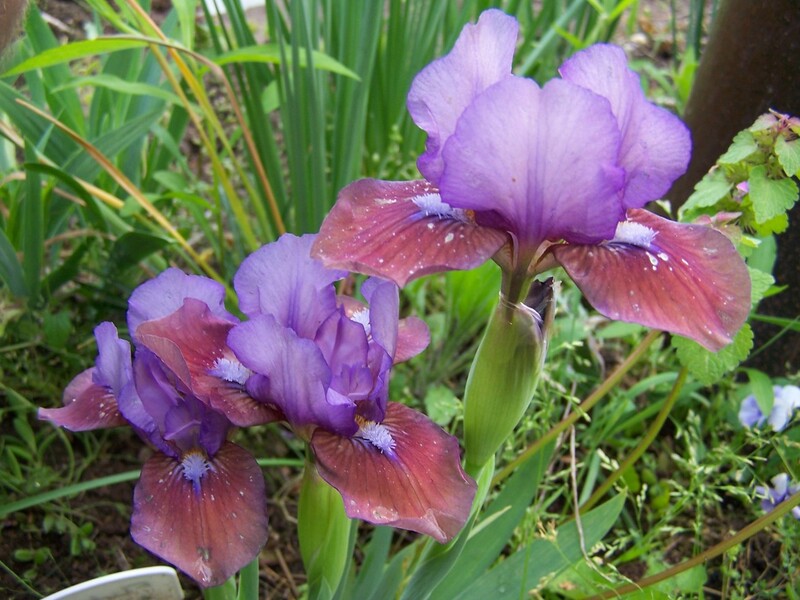 In nature the early blooming irises, which form their own genus Iridodictyum, have their distribution in locations that are very hot and dry in summer. 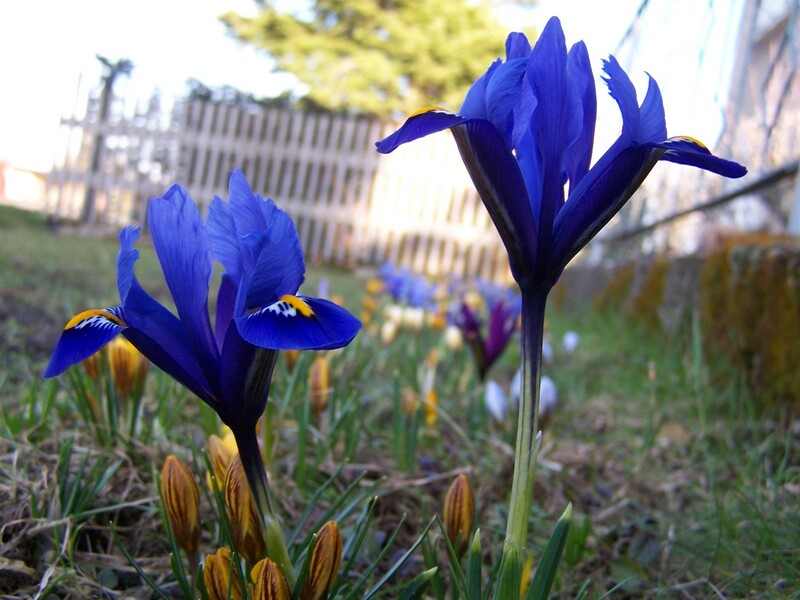 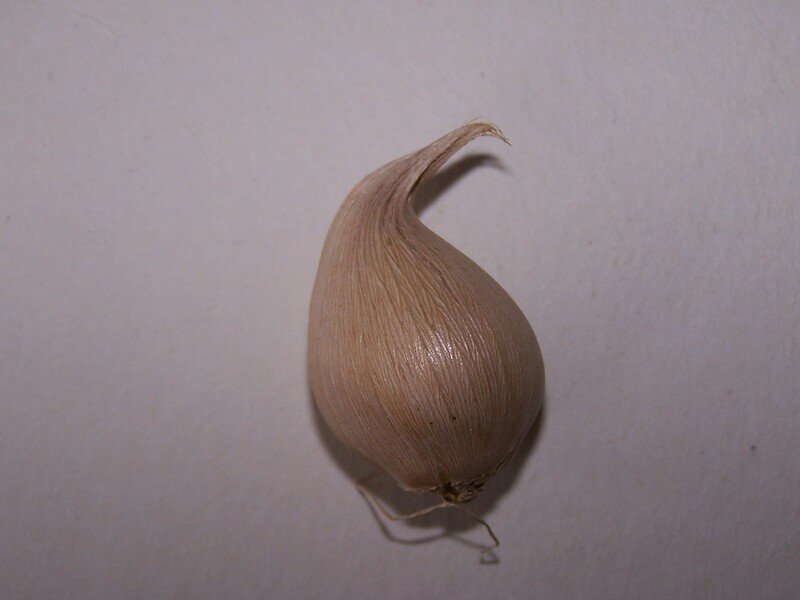 Therefore, plants have evolved, which put forth flowers and shortly afterwards leaves in the early spring, when enough water and nutrients are available, in order to be able to retract completely in the summer and store all power for the coming year in their bulb.